What in the World (WITW)? makes issues of U.S. foreign policy understandable and relevant. Explained by experts of color and women, we connect America's engagement with the world to your everyday life. WITW? is pre-recorded at Arlington Independent Media and streamed online at WERA.fm. #30: Space Force: Out of This World or The Future of Global Engagement? by What in the World? 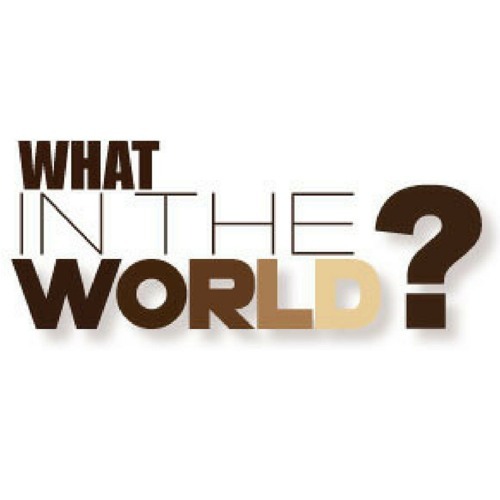 #29 - Bienvenido, Sr. Presidente: Guaido, Maduro, and the Crisis in Venezuela by What in the World? #28: We Gon' Be Alright: Understanding Nigeria's Long Journey to Democracy by What in the World? #27: Beyond Jollof Wars: Chinese Influence on African Media Freedoms by What in the World? #26: What's congress got to do with it? by What in the World? #25 - #ChangeYourPassword: How Your Everyday Habits Can Help Prevent Cyber Attacks by What in the World? #24 - Déjà vu: What's happening with Brazil's elections? by What in the World? #23 - Knowing Kofi and Learning to Lead a Complicated World by What in the World? #22 - Yemen's War & the Power of the Pen by What in the World? #21 - Foreign Policy Comes To Philadelphia by What in the World?